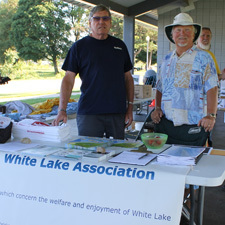 Membership in the White Lake Association is $35 per year and is critical to the ongoing success of WLA projects as well as to launch new endeavors. Paid membership also includes four issues of Riparian magazine! New or Renewing Members may complete and submit the web form below or download and complete the PDF. If you wish to submit an online membership application or renewal you must also make the online payment. If you do not wish to pay online, then you must use the PDF application and mail it in with a check.